Gen Education Page Copy – Southwest Honey Co.
Now Booking For Summer 2016! Our programs are run by the passionate beekeeper, Megan Ryan, who has a Master’s Degree in education. Educational experiences are scheduled to begin in June of 2016 and run through the fall. They are the perfect experience where young people, groups and families from the surrounding area can come to have fun and learn together. Fun, Hands-On, Exploratory & Educational Youth Programs! – Explore a sealed observation hive with live bees inside (safe for all ages). – Discover how neat and helpful honeybees are to us! – Learn about the life-cycle of the honeybee. – Investigate how honeybees work together and communicate to keep their hive strong. – Learn about what can be done at home to help honeybees and pollinators. – Includes a take-home packet with fun educational activities. Our youth programs occur on Tuesdays and Wednesdays at the bus accessible, safe & private grounds at The Southwest Conservation Club, 5703 Bluffton Road in Fort Wayne, Indiana 46819 View Map. Individual and family bookings can be done right here on our website! Please choose the date and time you would like to attend and follow the checkout steps. Give your private group a life-lasting and exciting nature experience without leaving the city! Please call for pricing and availability, Megan Ryan (260) 609-2897. We have the ability to bring our our program to you! 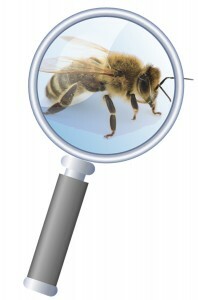 Give your group the opportunity to learn about honeybees without leaving your location. Please call for pricing and availability, Megan Ryan (260) 609-2897.